Joe Burrow led LSU (3-0) down the field in the final minutes with clutch plays and two pass interference calls against Auburn (2-1). AUBURN, Ala. (AP) - Cole Tracy kicked a 42-yard field goal on the final play to give No. 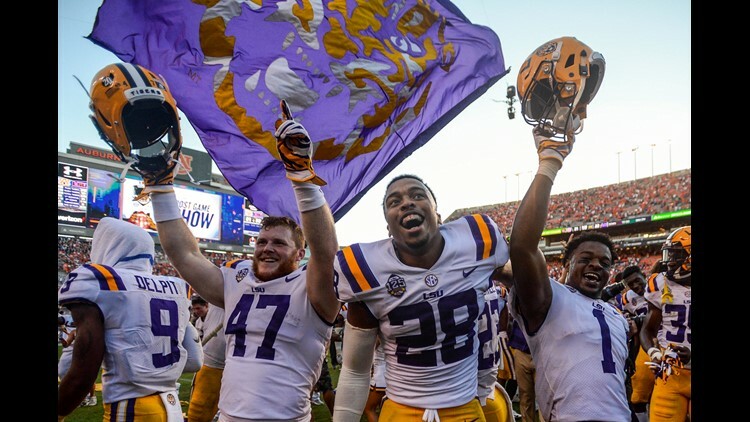 12 LSU a 22-21 victory over No. 7 Auburn on Saturday in their Southeastern Conference opener.